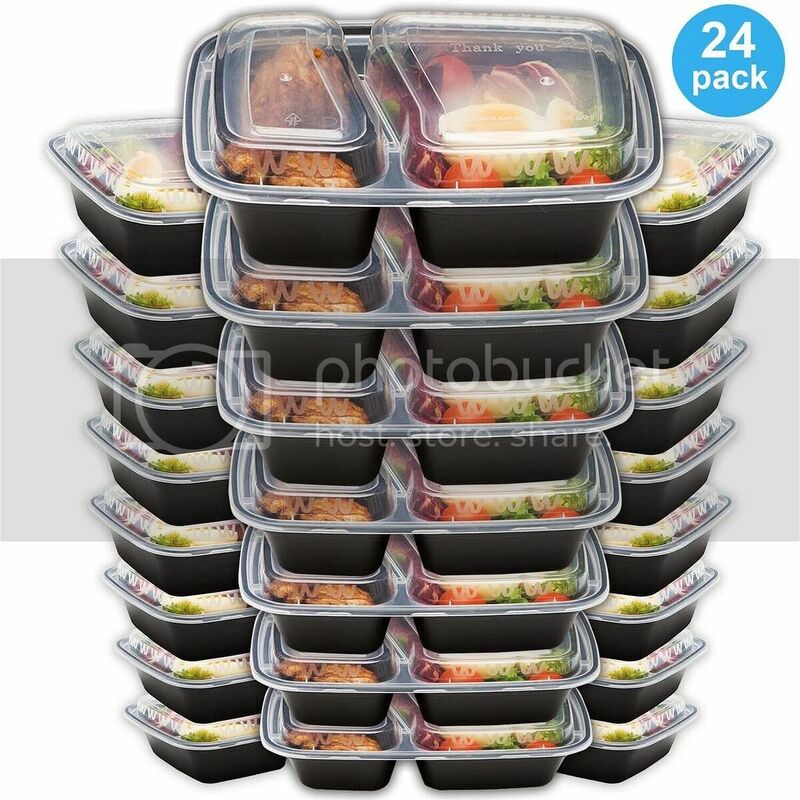 REDUCE MEAL PREP TIME AND SAVE MONEY – These plastic food containers with lids are ideal for daily meal prep. Each 34oz container has 2 separate compartments to help you keep a variety of foods apart. Whatever your goals, whether it’s to lose weight, add muscle or simply save money, these trays offer the perfect solution! MULTI-FUNCTIONAL – great for diet and portion control, these tray are often used for everyday use as lunch boxes for adults / kids, bento boxes for sushi or take out or even as a tupperware set for food storage in the kitchen! They are leakproof, stackable and reusable! Simply stack in your fridge or slide into your gym bag. 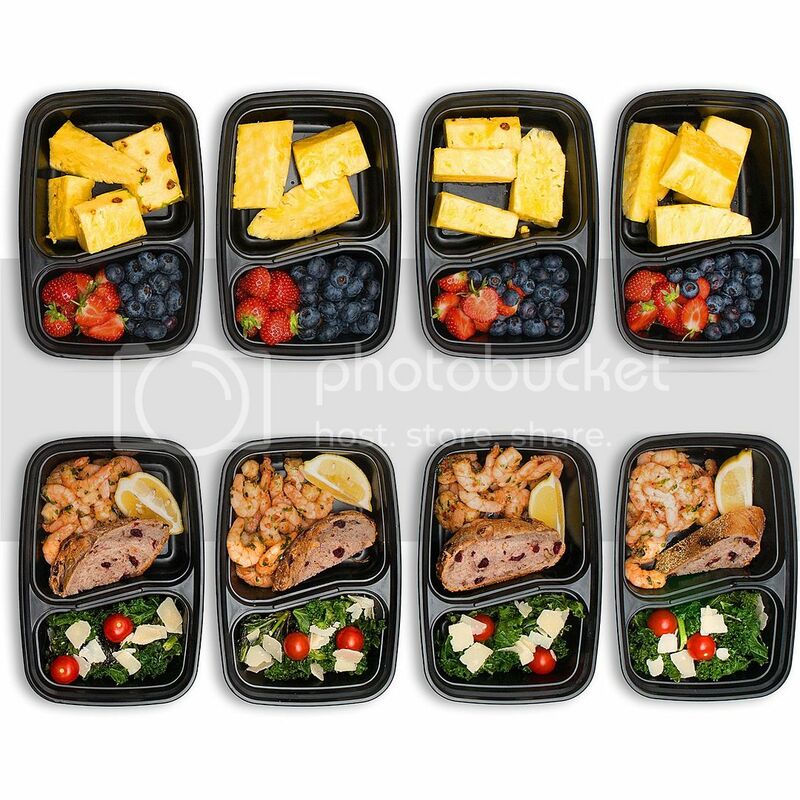 Take your meal prep to school, work, camping or even hiking! Fits inside your cooler for that perfect picnic! Also great for arts & crafts and fine motor toys! EXTRA FEATURES – All trays have snap-lock lids / covers for airtight seal, keeping delicate foods fresh & contained. They were specifically designed with great insulation properties to keep cold food cold and hot food hot. No plastic-y taste with these food saver containers. Can withstand temperatures of 250°C. Note on Shipping: Expedited shipping may not apply to all locations. Standard shipping 4-5 business days applies if shipping to a PO Box. A physical address gives us more carrier options such as UPS, FedEx, DHL, OnTrac etc and this makes expedited shipping possible. 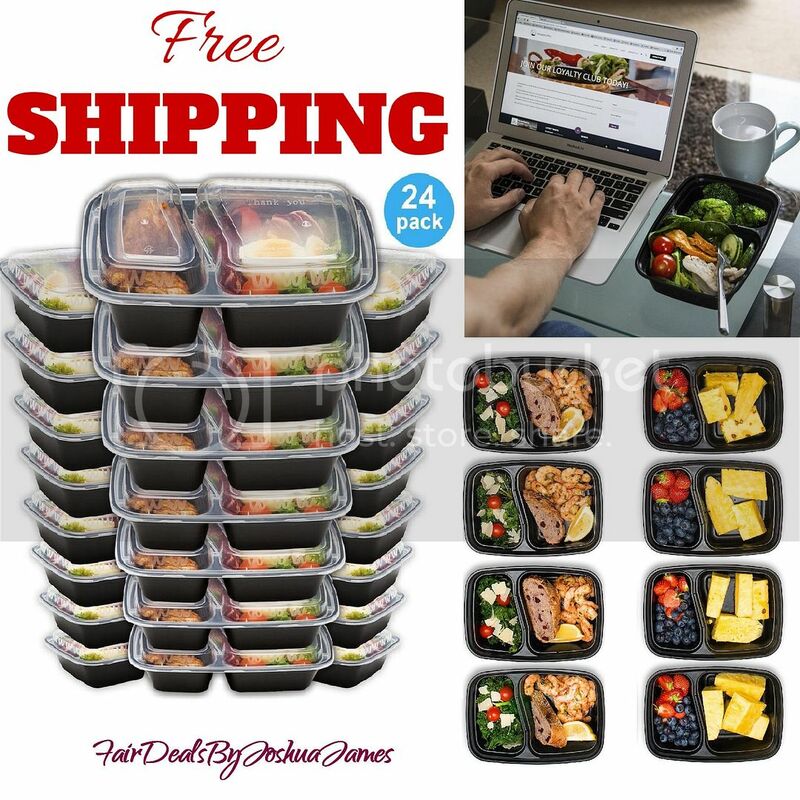 Be the first to review “24 Meal Prep Containers Plastic Food Storage Microwavable Reusable 2 Compartment” Click here to cancel reply.